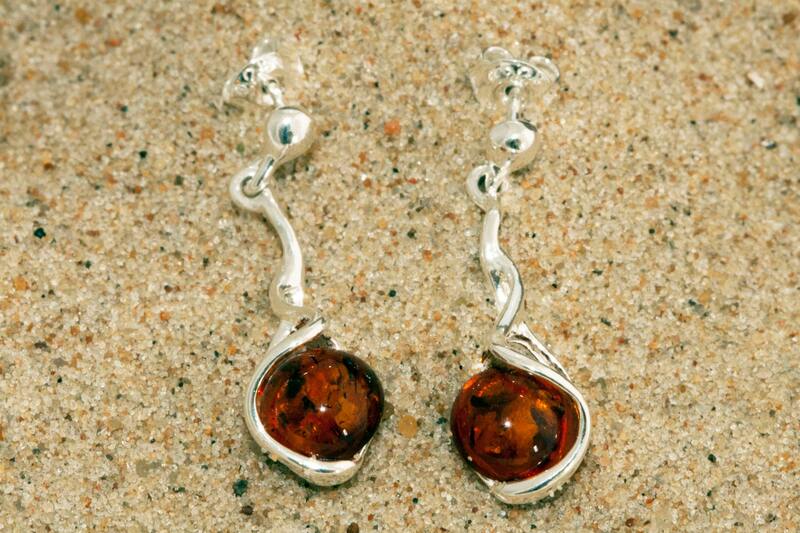 We are happy to present cognac amber earrings fitted in modern sterling silver setting. 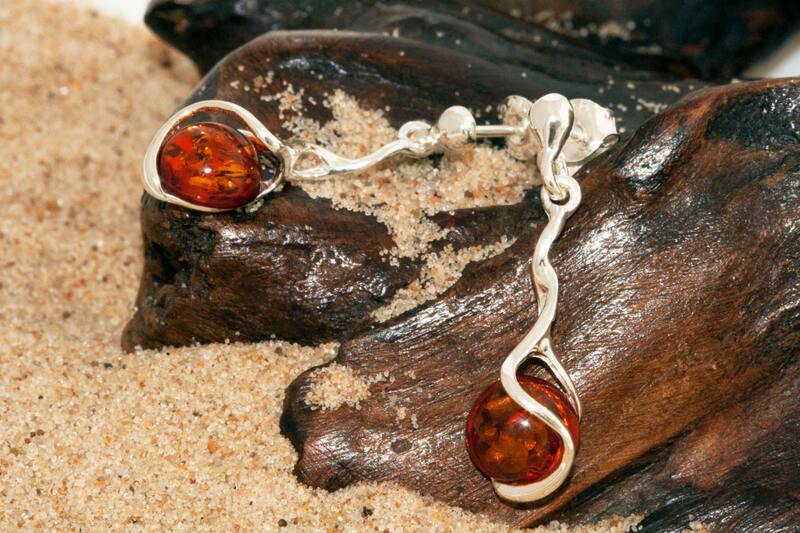 Silver lines wrapping the amber are creating classic but as well modern interesting look. 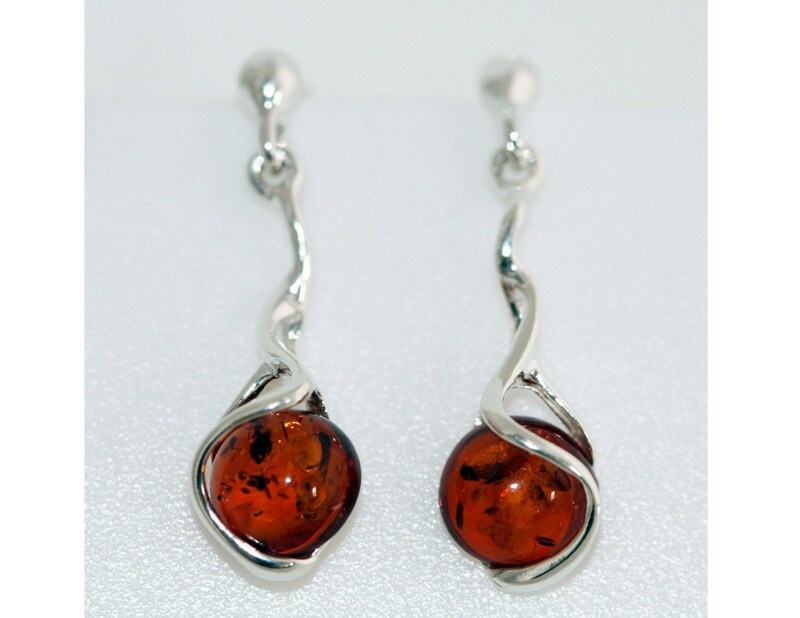 This unique and elegant design will decorate nicely every ears. 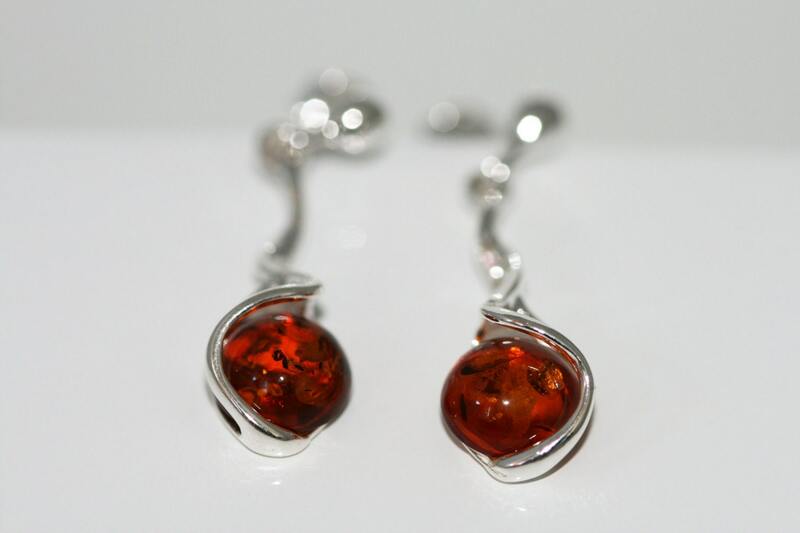 Size of the design: 29 mm length, 10mm width.